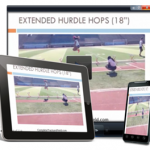 Within this site you’ll be able to access the entirety of Reuben Jones’ CTF coaching programs and resources. Find the program you’re looking for by following the links on the menu at the top of the screen. In many instances, there will be other supplemental information available for download/viewing. As part of your program, you have lifetime Q&A access with Coach Jones. Here, you have the option to ask questions and/or make comments about the content/information contained within the video/s on that page. 2. Keep your questions related to the information covered in that particular video. This should make things less confusing to your fellow coaches. Remember, Coach Jones will only answer questions related to general and specific topics related to that specific video. Questions about other aspects of training or other events will not be answered here. 3. Be patient. 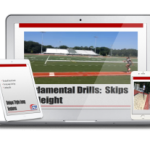 Coach Jones checks the site regularly and we check the site daily for unanswered questions. Coach Jones will get to your questions as soon as he can, generally within 24 hours.